I'm going to venture off the beaten path and offer up a recipe that is a result of what I consider to be my culinary pinnacle up to this point in my life. Yesterday, I went to Noodles and Company to have their Pad Thai for lunch. I was going through my typical Pad Thai process of adding a little Sriracha, Soy Sauce, and lime juice when it dawned on me that those 3 flavors would probably make a pretty dominant wing sauce. Below is the recipe I concocted. I made it for around 18 wings, but it would probably be good for up to 24 or so. Put all of that magic in a sauce pan and let it heat through for however long you feel like. I baked my wings in the oven at 375 for about 40 minutes. 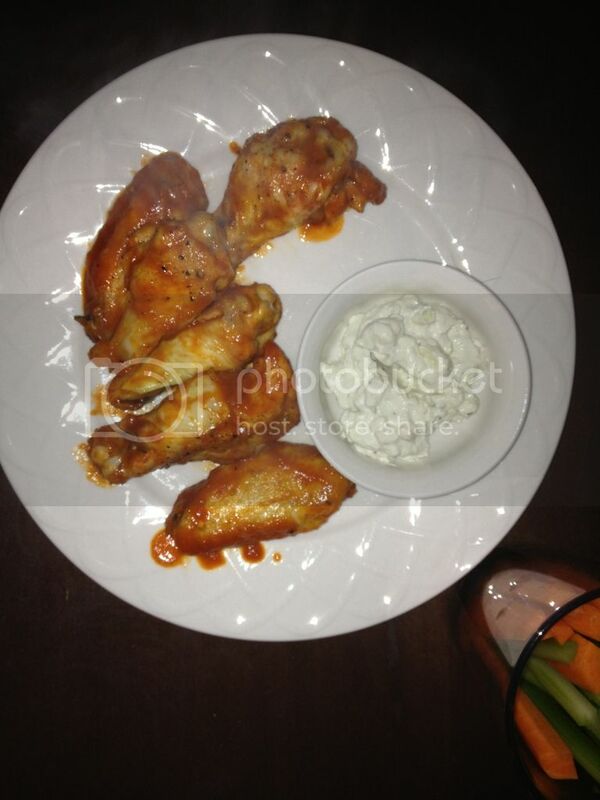 When they came out, I poured the sauce over the wings in a mixing bowl and then went to town. Keep in mind Sriracha is spicier than your typical grocery store hot sauce. It's not flaming hot, but it definitely packs more punch than the minimally spicy vinegar known as Red Hot. To combat the heat, I used this recipe to make homemade Blue Cheese dressing. I highly recommend making your own dressing as Bottled Blue Cheese is similar to bottled lemon juice in that it is one of those things that should never be used due to the god awful flavor it has. I substituted low fat Sour Cream and Mayo to make it slightly healthier and it tasted just fine. If you're looking for a wing sauce that is a little different from the everyday Buffalo or BBQ flavor I can't recommend this recipe enough. It was delicious. And if you do decide to try it, let me know what you think.